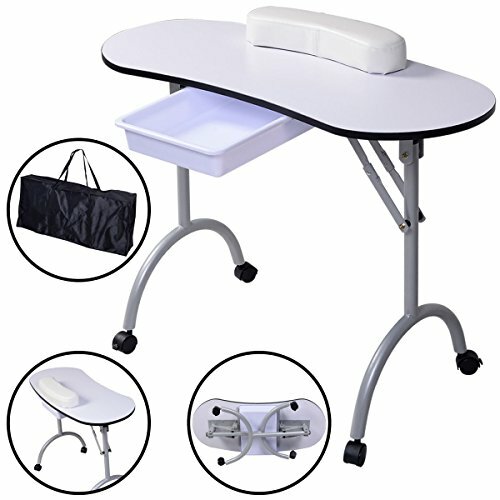 This is our brand new and portable Nail Care Desk & Manicure Table which is foldable and comes with a sturdy carrying bag for storage. Equipped with 4 PVC lockable rolling wheels, this table is designed for easy movement. And the durable plastic drawer is perfect for your accessories. Don't hesitate to buy one now!